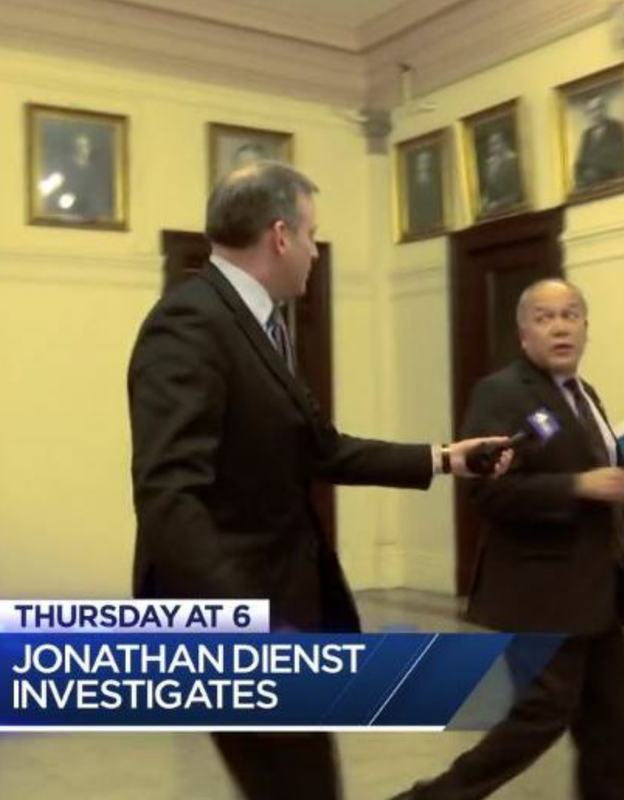 The I-Team of NBC Nightly News, has launched an investigation headed by their chief reporter, Jonathan Dienst, into Paterson NJ Mayor Jose "Joey" Torres based on the findings of private investigations company, AHM Investigations, LLC. 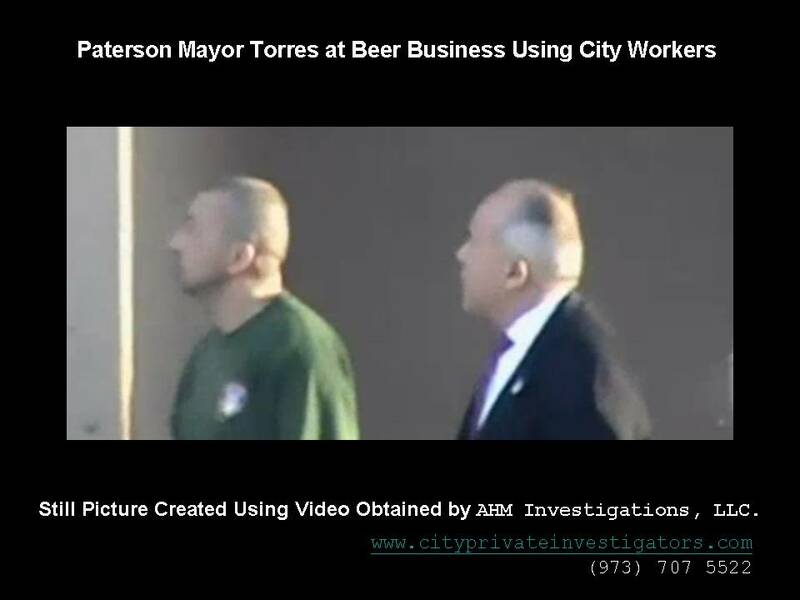 During his interview pictured above Mayor Jose 'Joey' Torres issued his denial stating, "At no time no city employee on taxpayer dollar nor... on overtime... that was your question... done any work at my home or at any other place." Harry Melber is the Director of Operations at the investigation company which is licensed in the state of New Jersey. 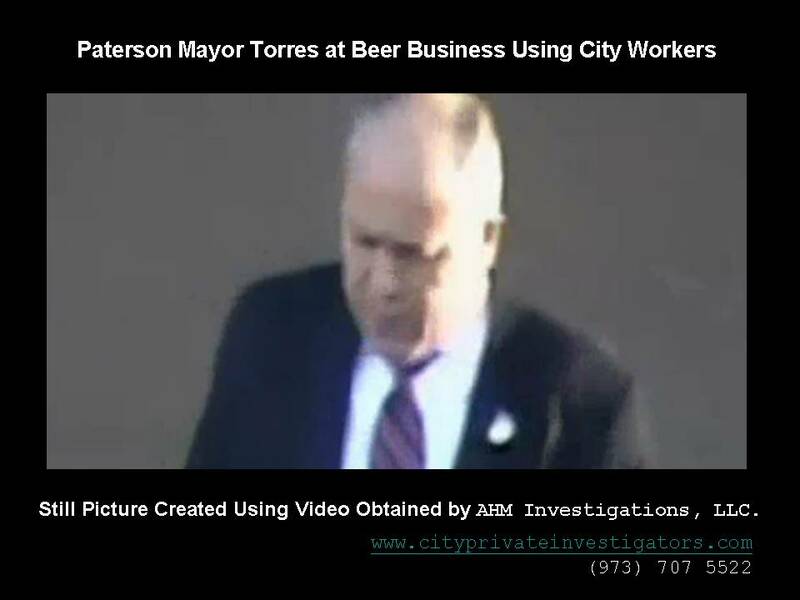 AHM Investigations videotaped Paterson Public Works employees working on personal construction jobs under the direct supervision of Mayor Torres, while the employees were being paid - sometimes on overtime - on the City of Paterson payroll. 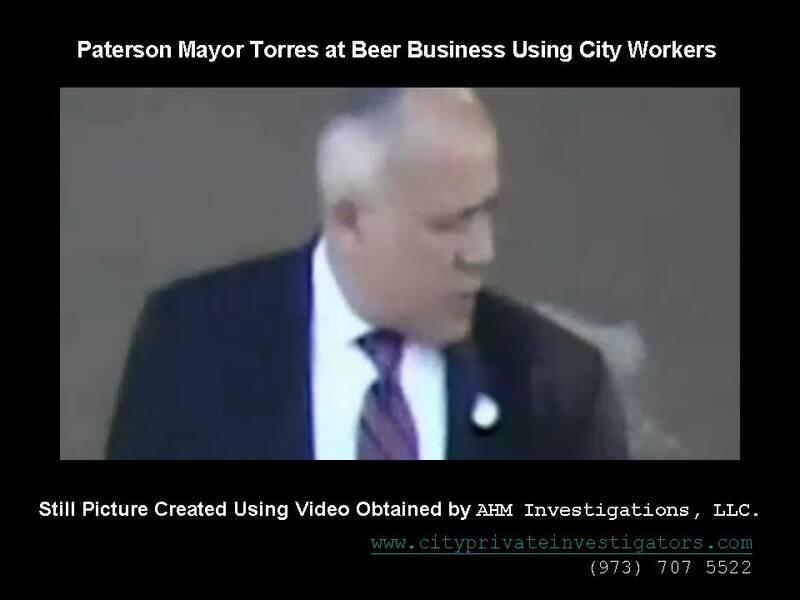 Mr. Melber's company followed Mayor Jose Joey Torres for over a year and created a three volume record of the Mayor's use of public employees who were being paid by the City of Paterson while performing work at the Mayor's home and a construction site connected to the Mayor. Mr. Melber has appeared twice on the NBC nightly news with Mr. Dienst. When asked about the specific contents of the evidence he gathered, Melber said, "There is much, much, more to come...". 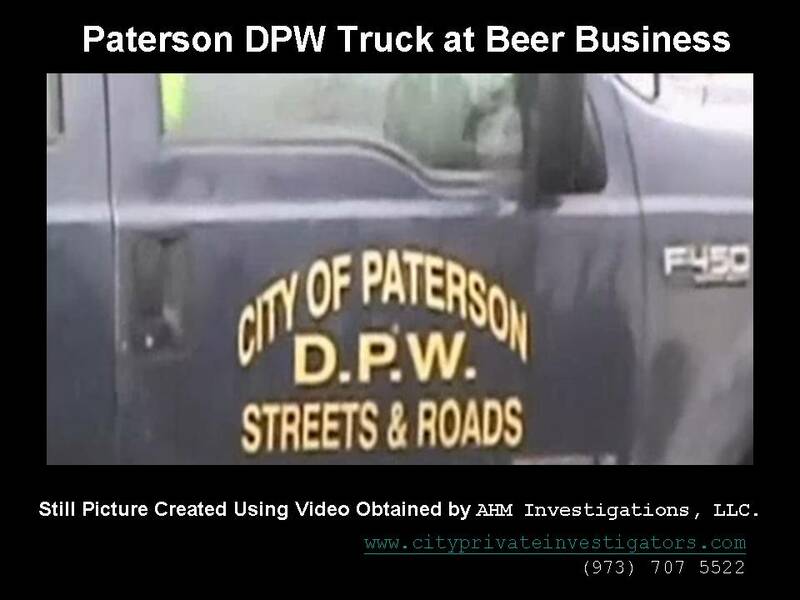 NBC has obtained the time cards of several Paterson Public Works employees which show time clock punches while the time stamped videos from the investigation record them working at the private sites. AHM's records and video have also been subpoenaed by the NJ Attorney General who has started a criminal investigation. Below are pictures made from our actual surveillance video tapes. 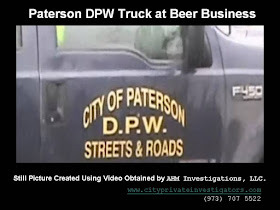 The pictures show (from top to bottom) Paterson DPW trucks at the location proclaimed to be the Mayor's nephew's beer business, Mayor Jose Joey Torres himself at the same site, and the Mayor with another Paterson DPW employee who is in uniform. AHM Investigations is a private investigative company that investigates insurance fraud, industrial theft and personal matters, such as, divorces, child custody, infidelity, and cohabitation.